Gary Edgley has challenged his Boston Town side to climb up the table to 12th spot - beginning with victory at Harborough today. The Bees currently occupy the position the Poachers are coveting, and three points would do Town’s hopes no harm. “I’ve set the lads the goal of getting 12th place,” said Edgley, whose side were looking at a relegation battle as recently as December. 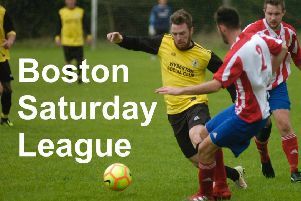 Wednesday’s 1-1 draw at fourth-placed Holbeach United saw Boston stretch their unbeaten run to eight matches. They currently sit 16th in the UCL Premier, trailing 12th-place Harborough by 10 points. “We’ve got some tough games coming up; Daventry, Rugby, Cogenhoe,” Edgley added. “But there are other games where we’re playing teams who I think we’re now on a par with. Harborough won 3-1 at the DWB Stadium in December. Kick off at the HTFC Community Ground will be 3pm.